Summary: this article shares with you top three solutions to backup DVD and transfer DVD to iPad Pro, iPad Mini/Air series (whatever storage capability) without wasting your precious weekend afternoon. And if you wanna watch DVD on iPad without converting or any quality loss, you can also find answer here. When it comes to transfer DVD to iPad, you need to adopt different solution depending on the situation. In case your iPad Pro is 128 or 256GB in storage space, you can choose to copy DVD movies to iPad for storing on iPad. What if your iPad has only 16, 32 or 64GB in internal memory? Your iPad actually doesn't have enough storage capacity to store your DVD movies (a DVD file around 4.7-8.5GB). In such case, you'd better put them to iPad for watching without consuming space. That being said, how to make it happen? Read below to find your desired solution. This solution is suitable for those whose iPad has enough extra space for DVD movie storage. Thus, you can apply this method to transfer DVD to iPad and store on iPad. The specific process is made up with two parts: rip DVD to iPad compatible formats and transfer DVD movies to iPad. Now, let's get it started with DVD to iPad conversion. To rip and digitize DVD disc to iPad supported MP4 MOV formats, you need a DVD ripper for iPad. 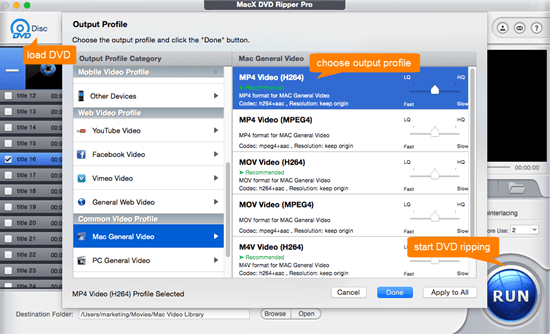 MacX DVD Ripper Pro is worth a try. 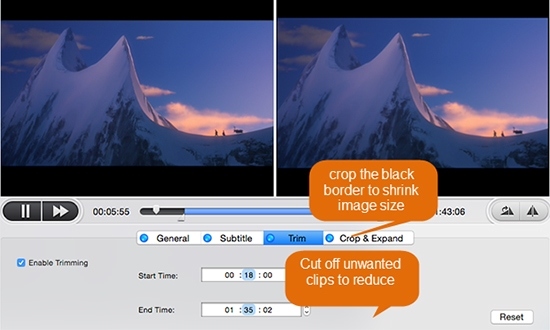 This Mac DVD ripper enables you to copy any DVD movies to iPad MP4 MOV format, including latest protected DVDs, 99-title DVD, Disney/Sony/Lionsgate DVD, workout DVD, AV DVD, damaged/unplayable DVD and more without issues of 75GB oversized Disney file, incomplete output file, distorted image, garbled audio, movie scenes repeated playback, etc. Free download this DVD to iPad ripper on Mac (compatible with macOS Sierra, El Capitan and earlier) or Windows version (Windows 10/8/7/XP all supported). Then fire it up and import DVD disc via "DVD Disc" button. Select MP4 Video (H264) or MOV Video (H264) from "Mac General Video" or opt for iPad Video from "Apple Device" as output format. Hit "RUN", and this DVD ripper for iPad DVD encoding engine will go into action. It begins to rip DVD to iPad format at speed of 250-320FPS once your computer supports Intel QSV hardware acceleration. You can also assign CPU cores to accelerate DVD ripping process, 2, 4 or 6 cores depending on your hardware configuration. Advice: To get the specific data of the output file size, here we rip 8.05GB DVD THOR (1:54:50 in length) to MP4 on iMac Yosemite as a test. 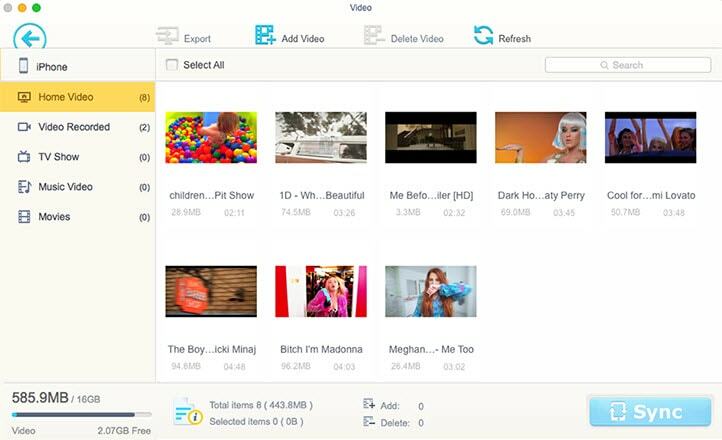 The result shows that the output DVD movie is 789MB in size, saving large room for your iPad. If your 16/32GB iPad has a little space left, you can further compress DVD file size using its Trim & Crop features before transferring DVD to iPad. Don't worry, your output file quality is still excellent, 98% quality reserved! The whole DVD to iPad transfer procedure will not use iTunes, but at the very begining, it needs iTunes to detect your iPad. So you're still required to update your iTunes 12.6. 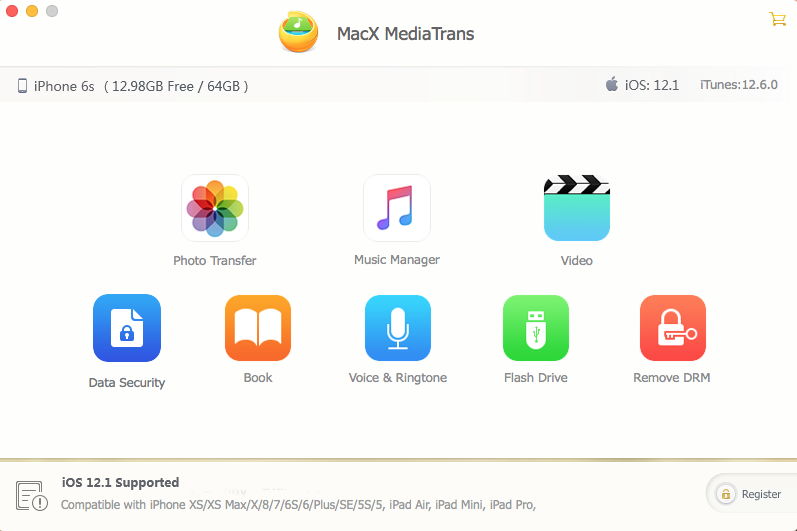 This iPad file transfer tool supports all iPad iPhone iPod devices with iOS 7/8/9/10. Launch this iPad movie transfer app and then connect your iPad to computer via USB cable. When you enter the main interface, click "Video" icon to switch to DVD movie transfer window. Click "Add Video" button and import DVD movies. Then choose the DVD movie files you wanna transfer or just tick "Select All". Hit "Sync" to transfer DVD to iPad. When the sync process is over, you can open your iPad and the DVD movies have already been synced to your iPad. Well, if you wanna play DVD on iPad but your iPad lacks storage space to store DVD movies, stay here to learn an effective solution to transfer DVD to iPad for watching without consuming space on iPad. 1. 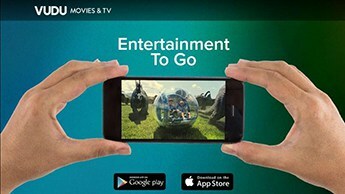 Free download the VUDU To Go application on computer and your iPad. 2. Choose "Disc to Digital" option tab in the application. 3. Load DVD or Blu Ray disc. Followed by the quality selection: SD (480P) or high definition (1080P). 4. Repeat step 3 for another conversion. 5. Accomplish the checkout process. 6. Run VUDU app on your iPad and log in with VUDU account. 7. Access to "my VUDU" to select the digital movie. 8. Choose to play movies online or download DVD movies to iPad for offline watching. You're suggested to download movies to iPad for smooth playback. 1. Both DVD and Blu ray disc supported. 2. Rip DVD to digital formats with SD and HDX (1080p) to choose. 3. Upload DVD to cloud and stream to iPad for watching, no demand on space capability. 4. Also allow you to stream DVD movies to iPhone Android PS3, etc. mobile devices. 1. Price is high: $2 for one DVD to digital in SD; $5 for one DVD to digital in HDX; $2 for one Blu ray disc to HDX. 2. Supported disc resource is limited, currently only 7 Hollywood studios and the disc update frequency is not so fast. 3. VUDU Disc to Digital not verify disc correctly, esp the Blu ray is incorrectly identified as DVD. Thus, users will be charged $3 more when converting to HDX. 4. VUDU Disc to Digital not working in long movie downloading. It fails at 75% when the movie duration is more than 2.5 hours. It's known to all that iPad doesn't have the DVD driver. So you can't directly insert DVD to play DVD on iPad. If you are disposed to import DVD to iPad, you have no choice but to convert DVD to iPad compatible formats. Supposing you plan to watch DVD on iPad without converting (keep original DVD quality), you can consider to rent or buy movie digital version to replace DVD version if quality is your concern. To rent or purchase movie digital version, iTunes Store, Amazon and Redbox all address your needs. Usually, iTunes Store is your primary choice, for your iPad sports with this app so that you have no need to re-download it. On top of this, Amazon is also great, where you can rent movie HD at $5.99 for 30-day viewing privilege and buy movie HD at $12.99-19.99. And even Redbox now offers digital movies, starting at $1.99. Sounds tempting, right? If you're interested in this, go to their official sites to add movies to your cart. MacX DVD Ripper Pro allows you to rip any DVD to iPad Pro/Air/mini at 250-320 FPS, only 5 mins to copy a full DVD to iPad. High Quality Engine to ensure you an output file with 98% quality.